What is Don't Call Us Tori? 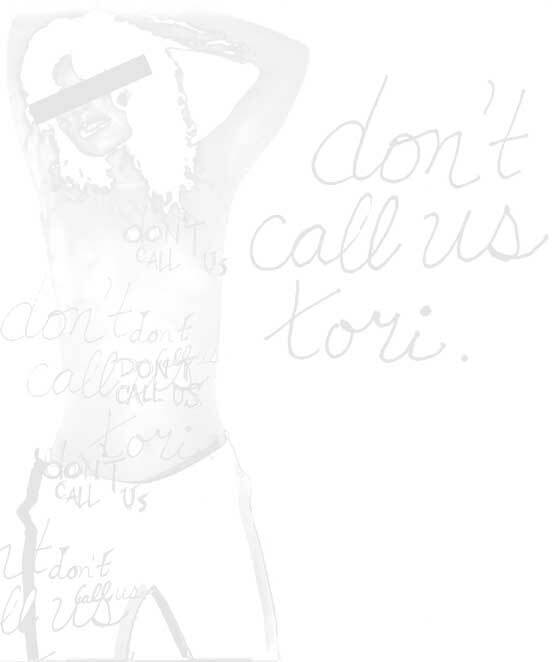 Don't Call Us Tori is the brain-child of Shannon Hurley, an LA singer-songwriter, and Steven Leavitt, musician, songwriter and son of stunt legend Debbie Evans. "We decided that we wanted to try a different approach to the LA scene," says Leavitt. " So many clubs just don't care that they are putting on a mellow acoustic act back to back with angry death-metal. Audiences don't go for that, period." "Steven and I wanted to put on shows that people could enjoy from beginning to end," adds Shannon. "We picked artists that we personally thought were good. Inevitably, women singer-songwriters are compared with Tori Amos or Sarah Mclachlan - it's meant affectionately, though and these artists are influential on many musicians." The first "Tori" show was in January at Westwood Brewery. "We ended up packing the place and people stayed for the whole night. We knew that we could build a following by using the tools of cross-promotion, so we continued booking shows, rotating the lineup slightly to encompass more artists." A lot of singer-songwriters want to be a part of Don't Call Us Tori because they see that this is an opportunity to play for an audience who is going to listen. "I get calls and e-mails every day from new artists," says Hurley. The unifying theme of the night is quality performers who bring something unique to the genre. The artists we have chosen are pushing the boundaries. They are far enough along that they have determined their musical style and direction. We have reached a new point for female artists and we are looking for women who are defining this next wave.